From an engineering standpoint, Boeing explains its new 737 MAX 10 airplane will be a straightforward stretch of the MAX 9, which entered service in 2018. More than 95 per cent of the design and 90 per cent of the build of the MAX 10 will be identical to previous models. The primary difference in the MAX 10 compared to other models, explains Boeing, is in the new, levered design of the main landing gear. Boeing explains the new MAX 10 landing gear is unique based primary on two key features that are critical for the longer design of the MAX 10: First, a lever that allows the landing gear to grow taller upon takeoff and, second, a shrinking mechanism that helps the gear retract to fit into the existing wheel well. Boeing supplier UTC Aerospace Systems began production of the main landing gear on August 20, 2018, which was to schedule. Boeing announced the launch of the MAX 10 last summer at the Paris Air Show. Today, the company explains more than 20 customers from around the globe have placed orders and commitments for this new member of the 737 family. Deliveries of the single-aisle aircraft are scheduled to begin in 2020. The MAX 10 holds additional capacity for up to 230 passengers. 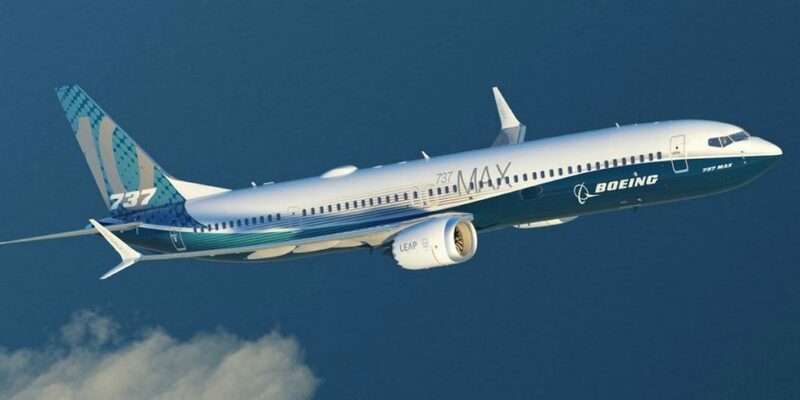 Like Boeing’s other 737 MAX models, the MAX 10 incorporates the latest technology CFM International LEAP-1B engines, Advanced Technology winglets, Boeing Sky Interior, large flight deck displays, and other improvements. Boeing explains the entire 737 MAX family has been designed for flexibility and efficiency, with lower per-seat costs and an extended range that will open up new destinations in the single-aisle market. The 737 MAX 8 and the 737 MAX 9 have both entered commercial service. These will be followed by the MAX 7 in 2019, and again the MAX 10, which will be introduced in 2020.